Ascendis Pharma, a company funded in 2007, applies the TransCon technology which combines a prodrug with a sustained-release technology. This way, the company can offer products with a predictable and sustained release of an unmodified parent drug. Before heading for the publications the company released in 2017 in selected events, is important to explain some concepts. 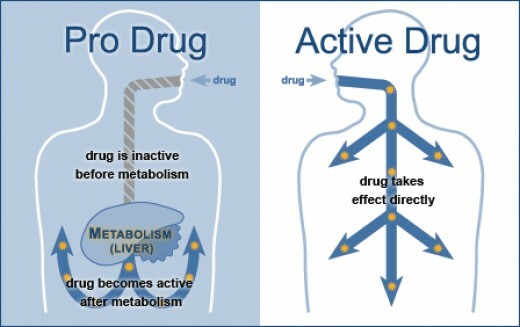 A prodrug is an inactive medication or compound (the same as having no action), and after being administrated, it is converted within the body (metabolized) into a pharmacologic active drug. Is the maximum concentration of the drug that is measured in the plasma after one dose administration. 2 The concentration of a drug is the abundance of a compound divided by the total volume of a mixture. The following image gives a simple example how to reach the concentration value of a mixture. So, once the TransCon CNP shows a low Cmax, this avoids side effects in the body after the administration of CNP, namely the reduction of blood pressure and an increase of heart rate has shown by other CNP (as BMN-111). And what is the plasma? Is the clear, yellowish, fluid part of the blood that carries the blood cells. The proteins that form blood clots are in plasma.3 Blood is composed of blood cells suspended in blood plasma, that can be separated by centrifugation (a process used to separate substances that as mixed together). So due to an increased half-life of the TransCon CNP, the company sees the potential of having one administration per week of the drug instead of a daily administration. The TransCon CNP prodrug has minimal binding to the NPR-B and NPR-C receptors and improved NEP stability in vitro compared to unmodified CNP. In vivo TransCon CNP demonstrated the desired half-life extension without adverse hemodynamic effects. 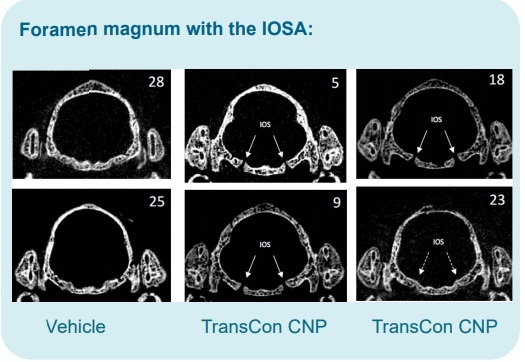 In a murine model of ACH, TransCon CNP prevented the closure of synchondroses and resulted in an improvement in foramen magnum and skull shape, suggesting normalization of the overall skull contour. Continuous exposure to CNP showed better efficacy and CV tolerability than intermittent, daily injections. 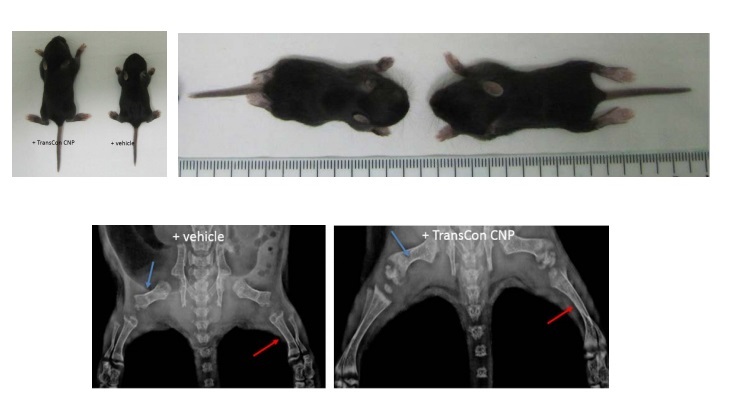 In young healthy monkeys, once weekly TransCon CNP increased long bone growth in a dose-dependent fashion. In a murine model of ACH, TransCon CNP improved growth plate architecture and improved phenotypical features. 1. Rautio J et al, 2008, Prodrugs: design and clinical applications. This study can coduct in india? Oi…ansiosamente goststia de saber se já é possível fszrr o uso desse medicamento? Onde encontrar?